Seriously. I'm asking. Is p2plending dying? Returns have sucked the last couple of years for all investors, but especially us retail investors since the 2015 and 2016 vintages have performed so poorly. My own returns are 400-500 basis points lower than my returns on my 2013 and 2014 vintage loans were and I know some colleagues and friends who have lost money on these investments. The entire premise of my book on P2P Investing is that p2p lending is a better investment option than bonds, and I still think that's true. It's still a much better and more transparent fixed income investment than bonds. But can the industry survive? This may sound like a semantic shift, meaning just a change in terminology but it's not. The lending was peer to peer (individual and/or small group to individual) and now with the marketplace, the overwhelming number of platforms for investment target accredited or institutional investors. Retail investors currently have 8 investment options: 2 Consumer (LC and Prosper), 4 Real Estate, and 2 Business lending platforms. Seven of the 8 I highlight in my book and the other I highlighted here in February when I talked about the Worthy Bond. Negative: All the Wall Street and institutional money are crowding out retail investors. Not only that, Wall Street has proven time and time again that it's great at making money for itself and firms in its ecosystem without any regard for the industries or investors it's supposed to serve. Can p2p lending survive all this Wall Street attention? One of the leaders in the field, Prosper, is trying to adjust to market forces. 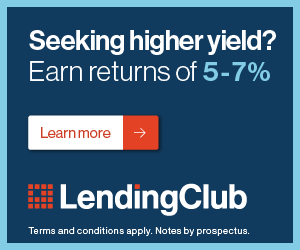 In an attempt to improve itself and its returns for investors, Prosper has both increased rates to go with the Federal Reserve interest rate hikes AND it is tightening up its underwriting. Usually doing both together would mean fewer approved and funded loans, so this is something to watch. As you can see, AA and A loans have the smallest increase in rates, while C and D loans have the largest increase and the average across the board is a 10 basis point increase, slightly less than the 25 basis point increase from the Fed. Prosper's tighter underwriting standards not mean fewer E loans and more A and AA loans. Hopefully, they can do all this and still fund enough loans for the investor demand that's out there. Will this be enough for Prosper and can the industry survive being driven by Wall Street money? What do you think?